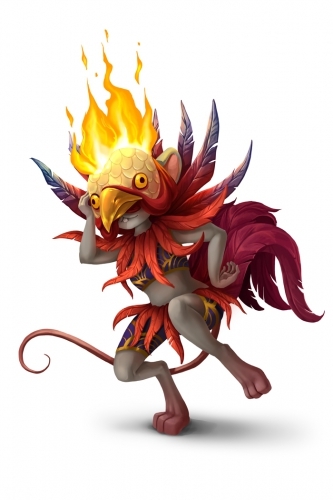 The Costumed Rooster Mouse is an Event Mouse found during the annual Lunar New Year event. The Year of the Rooster brings with it another fiery and majestic celebration! Garner this mouse's favour by obtaining the special Rooster Lunar Lantern and keeping it lit while hunting. Information on how to locate and capture the Costumed Rooster Mouse can be found on the current Lunar New Year location page. 26 January 2017: The Costumed Rooster Mouse was introduced as part of the Year of the Rooster event. This page was last edited on 6 March 2018, at 00:35.